The one-day interactive CITB Site Environmental Awareness training course is part of the CITB Construction Skills Site Safety Plus range of CITB training courses delivered through a network of CITB accredited training providers. It includes the environmental aspects of the new Health, Safety and Environment touch screen test. This course is aimed at staff with management or supervisory responsibilities on a construction site, including site managers, site supervisors, site foreman, site agents and those with design or purchasing responsibilities. 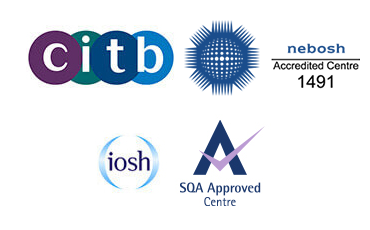 Successful candidates will receive the CITB Site Safety Plus certificate, valid for 5 years. The SEATS training course will provide delegates with an introduction to environmental issues on construction sites and has been designed to provide the basic environmental knowledge that sub-contractors are required to know and demonstrate to major contractors. Delegates will also be trained to identify both the environmental impacts of their work and improvement opportunities, as well as how to control and minimise their impact on the environment. The significance and importance of the environment. A basic understanding of Environmental Management Systems. Prevention of pollution and water management. Use of energy and resources. Being a responsible contractor and a good neighbour – including statutory nuisance, communications, archaeology and heritage. The SEATS course is delivered through classroom-based tutorials and case studies. Candidates must attend in full. The final part will include a multiple-choice test.